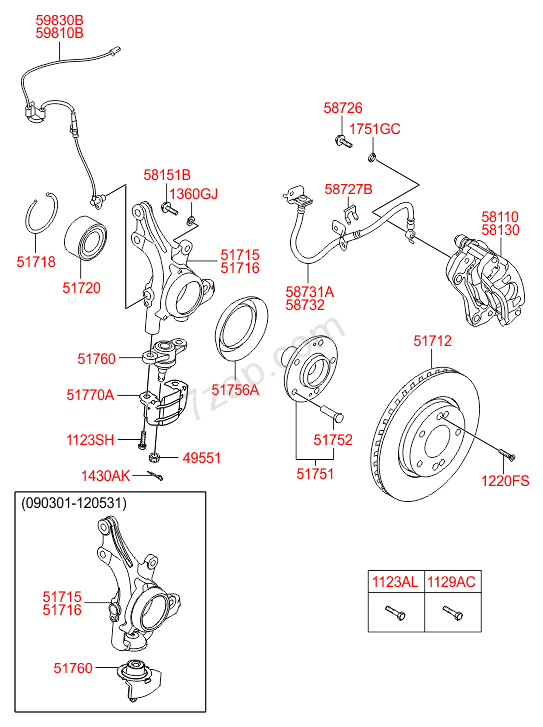 2010 i30 estate replacement parts ??????? Re: 2010 i30 estate replacement parts ??????? What ideas are you after? The VIN will determine what's fitted, there's online sites you could plug into with that like 7ZAP. Yes in other markets there were variations of design. Over here all of ours have the 2 bolt design. Handbrake cables, wagon and hatch will be different. Contact a dealer to verify with the VIN what's fitted or try online.